Ron and Maggie Tear Photography: Tanneries. 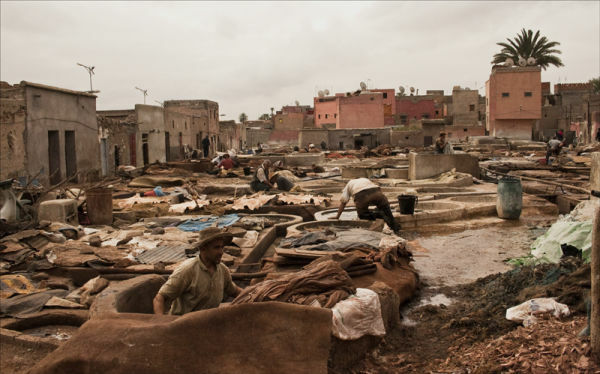 The tanneries are a vital part of African life, supplying goods of all types in leather with a job that is hard. These communities are made up of one sect or another where the family has done this for generations. They live and work here for life. A strong smell of ammonia ect here, we were given a bunch of mint to help us overcome the smell !!! The sight though was incredible.